Today and tomorrow, I'll be posting a list of my 40 favorite New York City restaurants of 2008. 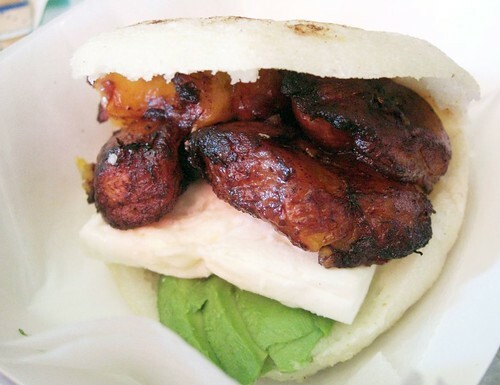 The reason I'm posting this list on NYCDAILYDEALS is because the majority of the places I eat at tend to be very affordable. I'm including a price guideline which represents the price of an average entree at each restaurant. At only five places of the 40 was the average entree more than $20. Unlike many restaurant lists, which feature places that opened during the calendar year, my list includes restaurants that I dined at for the first time in 2008. Thanks to all of my friends (who I dragged to, yes, all five boroughs) for eating with me near and far this year. Hopefully, 2009 will bring more pleasant surprises on the city's food scene. Without further ado: Restaurants 21 - 40. The Wreck Room in Bushwick hosts a Bingo night every Monday. Even the losers are winners with $2.00 beers and shots available from 2-9PM. Take in the final week of the NFL season at 123 Burger Shot Beer in Hell's Kitchen. 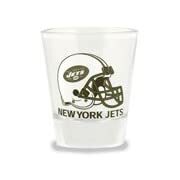 Every time the Giants or Jets score a touchdown, everyone gets a free shot. If either win, free beer on the house! And even if both teams are shutout, there are still $1 burgers, $2 shots, and $3 beers for you to enjoy. Pound 'em down and you might be too woozy to see if the Jets can squeeze into the playoffs. Now through New Years, head over to one of the city's most popular transportation hubs and check out this spectacular light show featuring neon lights, swirling snowflakes, and twinkling stars. 11am - 9pm, daily. Watch famed competitive eater Takeru Kobayashi attempt to beat the current fruitcake record-holder who ate 4 pouunts and 14.25 ounces 10 minutes in 2001. The event takes place at 11 a.m. at the plaza of Madison Square Garden on 34th Street and Seventh Avenue. NYCDAILYDEALS wishes you a very Merry Christmas, Happy Hanukkah, and an enjoyable holiday season. We'll be back on Friday! 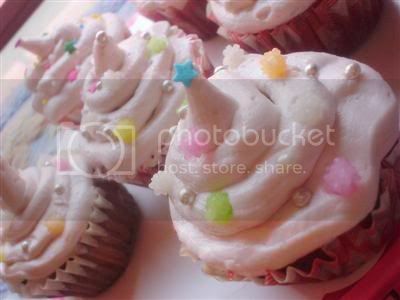 Billy's Bakery - an offshoot of Magnolia - celebrates it's 5 year anniversary with $1.00 cupcakes all day! 184 9th Avenue between 21st & 22nd Street. 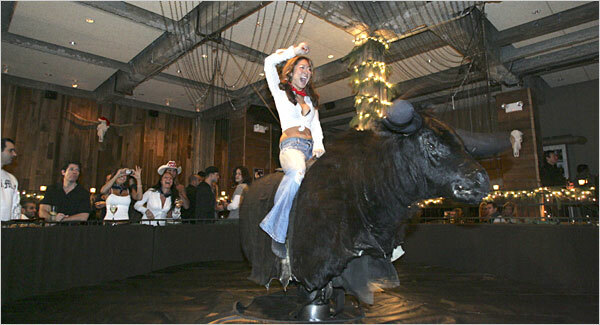 Johnny Utah's (25 W. 51st St between 5th and 6th Ave) hosts a mechanical bull-riding championship tonight (judged on crowd noise). The winner gets tickets to MSG's real Pro Bull Riding show in January. Starting time: 10 PM. Morton's the Steakhouse celebrates its 30th anniversary today by giving out sliders from 5 p.m. to 6 p.m at the bar, conveniently timed to happy-hour body clocks. The other night, I stumbled upon a great deal on greeting cards on the Upper West Side. There is a shop on the southwest corner of Broadway and 81st Street which sell all of it's greeting cards for 50% off the price listed on the back (bringing most cards out to $1.00 - $1.50). For those of you who still need to buy some cards, I suggest doing it here! Restaurant.com sells gift certificates to select eateries at a discounted price -- the most common $25 gift certificate can regularly be purchased for $10. Through Dec. 25, if you apply the promo code GIVE, you can receive an additional 80% OFF, bringing the final price down to $2 for a $25 gift card. 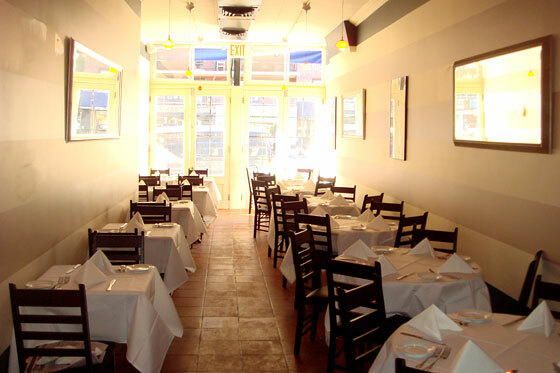 There are more than 400 New York area restaurants on the site! 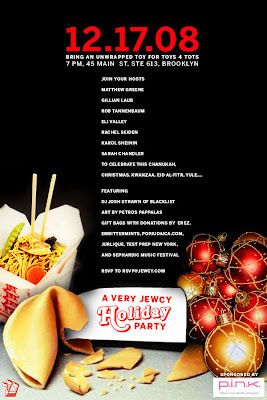 It's officially holiday party season and Jewcy is throwing a shindig tonight. RSVP to rsvp@jewcy.com to get on the list or click here. 7 PM. 45 Main St. Ste 613 in Brooklyn. The Village Pourhouse Matches Your Fare! Drink For Free! The Village Pourhouse has opened a new outpost on the Upper West Side. The bar has implemented a new policy: if you take a cab to visit the new spot, the Pourhouse will match your cab fare in the form of a bar tab. For instance, if you are on the LES on a Saturday night and you are ready for a change of scene, but can't imagine spending $20 bucks on a cab up to the Upper West Side, have no fear. Direct the cabby to Amsterdam between 108th and 109th, ask for a receipt when you arrive, and the bartender will start your tab with a credit for the same amount as your fare. You have nothing to lose! The Art Directors Club is having a party tonight at the ADC Gallery in Chelsea. Admission is free with an unwrapped toy to benefit The Children's Aid Society. Join the festivities with a night of food, drinks and gift-giving. Tuesday, December 16, 2008 6-9 PM @ ADC Gallery 106 West 29th Street NYC The Art Directors Annual 87 and ADC Young Guns 6 Annual, along with The Undiscovered Letter companion volume, will be unveiled at the party and available for purchase. According to the press release for this event, the master and the mistress of the mattress will be decided once and for all this evening. But we bet most people will just be there to watch a bunch of crazies beat the crap out of each other and pound down $3 PBRs. The specialty matches of the night will include a grudge match featuring Prime Nate vs. The Duck Down Decapitator, as well as a first time meeting between two proud regulars: El Macho and Chicken Nuts. Sounds intense... and well worth the $10 cover at the door. Visit www.punkrockpillowfight.com for more information. The New York City Schnauzers Playgroup -- about 40 people and their dogs -- meet the second Sunday of each month in Madison Square Park. Bring you pups and pickup lines over to the park this Sunday at 11. Kick off the holiday season with a coquito, the traditional yuletide drink of Puerto Rico. Sample the unique recipes developed over the centuries by islanders from different towns throughout Puerto Rico. Vote for your favorite while you hang out with friends and neighbors — or compete in the recipe contest yourself! First, second, and third prizes will be awarded. SantaCon is tomorrow! For those who don't know what SantaCon is, it's essentially a mass gathering of people dressed in their various interpretations of Santa Claus costumes (most, however, are traditional), and performing publicly on streets and in bars in cities around the world. The secret meeting location will be posted online tonight at 10 PM. Click here for all the info and start preparing you costume. FREE HBO Taping W/ Tiger Woods, Michael Phelps, And More -- RSVP Today! When was the last time we had a sports year quite like 2008? When the biggest stars came through with their most epic performances. When the big events seemed bigger than ever. CostasNOW looks back at 2008, the Year in Sports, live from New York. The Giants Super Bowl shocker...the marathon Wimbledon final between Nadal and Federer....Tiger Woods and Rocco Mediate going an extra 18 holes at the US Open....A Summer Olympics that captivated the country....And finally, a championship for the City of Philadelphia. Bob will be joined in a Town hall setting by the year's biggest stars to talk about the year's best moments. Scheduled to appear: Tiger Woods, Michael Phelps, Michael Strahan, Dara Torres, Charles Barkley, Jimmy Rollins, Nastia Liukin, and many more. To attend this exclusive LIVE COSTAS NOW 3 show on WEDNESDAY December 17th. YOU MUST BE AVAILABLE BETWEEN 7:45PM and 10:45PM. It broadcasts simultaneously on HBO that night with repeats at later dates. YOU MUST BE 18 YEARS OR OLDER TO ATTEND THE SHOW. TICKETS ARE COMPLIMENTARY. 2. Your email address (one which will not "spam" out our reply to you and one which you check frequently.) PLEASE ALWAYS CHECK YOUR SPAM FOLDER JUST IN CASE! 5. 2 tickets is the maximum number we can allow per request. We will contact you via email with a detailed ticket confirmation if there are tickets available. You should hear from us within a few days of your request. Tomorrow, Chipotle officially opens its final store of the year at 274 Madison Avenue and 39th Street. To celebrate, it’s giving away free burritos today from 11 a.m. until 8 p.m.
We apologize for posting a book signing two days in a row -- but this one is too good to pass up. 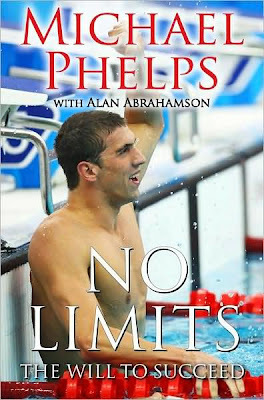 Michael Phelps, recently named Sports Illustrated Sportsman Of The Year, will be signing his new book No Limits: The Will To Succeed @ Barnes & Noble on 5th Avenue & 46th Street at 12:30 PM. We suggest getting there early... very early. And if you miss him today, he'll be at Borders on Thursday. Enjoy! Tila Tequila signs copies of her new book: A Guide to Love, Fame, Happiness, Success, and Being the Life of the Party. Click here for more information. Maybe this is your shot at love with her! 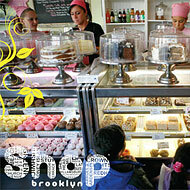 Walking Tours Manhattan provides a free tour today of some of the city's sweetest (pun intended) dessert places. There is a $1 suggested donation to Food Bank New York -- well worth the free samples you'll be getting from Jacques Torres and Magnolia. Meet at Magnolia Bakery at 10:30 am. The popular gadget blog Gizmodo brings it's technology offline at The Gizmodo Gallery (151 Orchard St between Rivington and Stanton Streets). It's open from 11-8 today. The exhibit features both old-school gizmos and toys of the future. Check some of them out here. FREE. Live performances by Kelly Rudick, Crooked Looks, Beyondo and Thought. Free food from Tuck Shop, Kossar’s Bialys, Aprovecho, The Doughnut Plant, Sumile Sushi, and The Kati Roll starting at 9pm. Free beer from Sixpoints from 10:30 - 11:30. You don't want to miss this party! Cover charge is just $1.00! A new Chipotle is openting today at 125 East 23rd Street and Lexington. To celebrate, stop by between 5 p.m. to 9 p.m. and make a $5 donation to the American Cancer Society. In return you'll get chips and salsa, a large fountain drink, and your choice of burrito, tacos, a bowl, or a salad. Sounds like a good deal to me! Plus rock band Jack's Mannequin performs a free special in-store performance at the Apple Store in Soho at 4 PM. As ingredients become more expensive, the price of a slice of pizza has been becoming more expensive too. 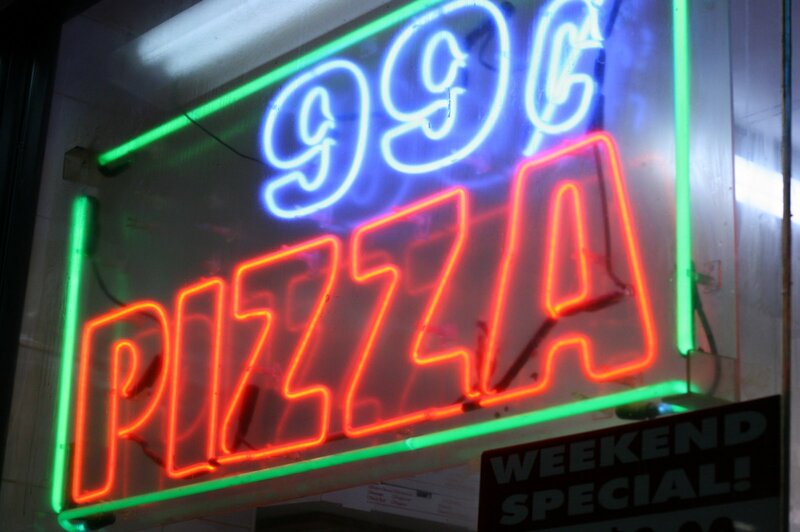 When I moved to the city in 2002, it was rare to find a slice for more than $2.00. But now a $2.00 slice is considered a steal. An article that ran in the New York Times last year (Will Subway Fares Rise? Check at Your Pizza Place) chronicled the rise in pizza slices alongside the rise in subway fares. But wait... A weird thing has been happening... mostly downtown. A number of pizza places have reduced the cost of their slices to $1.00. These places don't serve up the best pizza in town, but it sure is a good bargain. Still have some money left over from Black Friday? 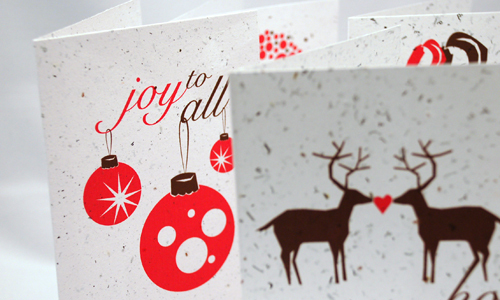 There are thousands of online sites that offer coupons for the holidays. Here is one of our favorites. Looking for specific info about Black Friday sales still going on? Click here. While you shop till you drop, we'll be eating leftover Turkey. See you on Monday and enjoy the rest of the holiday weekend! Wishing you a very happy holiday. Home with mom and dad? Make sure to eat all the free food you can! NYCDAILYDEALS will return this weekend. Stay tuned for many more great deals! 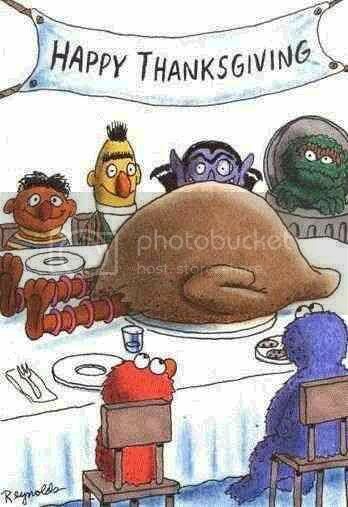 Tomorrow is the Macy's Day Thanksgiving Parade. We suggest avoiding the crowds and heading up to the Upper West Side this afternoon to see all the floats inflated. Bigger-than-life versions of Dora the Explorer, Scooby Doo, and Mr. Potato Head will be slowly brought to life! Location: 77th to 81st Streets, between Central Park West and Columbus Avenue. Enter at 77th Street and Columbus Avenue. Opus, a restaurant that specializes in gluten free fare on the Upper East Side, opened last month to mixed reviews. Through the holidays, they are offering free slices of pizza every day with the purchase of a drink at the bar between 5 p.m. and 6 p.m.
NYCDAILYDEALS has compiled an exclusive list of BYOB restaurants in New York City that don't charge a corkage fee. In other words -- bring free drinks to dinner! If you know of any other places with such a policy, feel free to put info in the comments section. Thanks! Want free Dr. Pepper? Visit DrPepper.com to get a coupon redeemable for a 20-oz. Dr Pepper wherever the drink is sold. The coupon will only available for 24 hours and will expire on Feb. 28th. Click here to read more about what in the world Dr. Peppers was thinking. Canstruction - A Free Art Exibit. Sculptures From Cans! CANSTRUCTION - an exhibition featuring sculptures made from cans of food - is on display from 7 PM - 11 PM at the World Financial Center through 12/2. After the show, the cans will be donated to City Harvest. Admission is free -- check it out! Who doesn't love sangria? Who doesn't love all you can drink sangria? Who doesn't love all you can drink sangria with live music? If you're screaming the answers to these rhetorical questions at your computer screen, perhaps you should get out of your apartment and stop by UNWINED, which offers all the sangria you can drink tonight for $15. In fact, every Tuesday and Friday you can take advantage of this awesome deal. Salud! Godiva is offering free truffles at all 13 of their Manhattan stores today from 1-3 PM. Click here for a list of all their regional locations. Stop in for an afternoon snack. Enjoy! It's never been more affordable for you to enjoy Devils hockey! 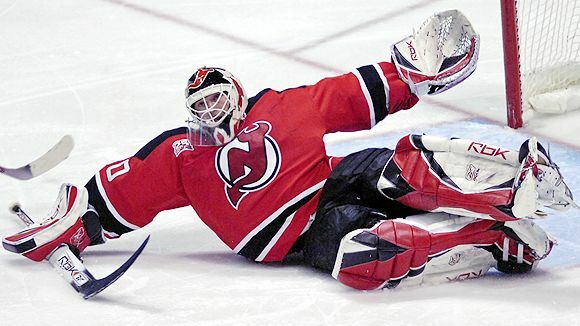 Save big on any Thursday night game at Prudential Center with Devils' College Nights. Tickets start at ONLY $15 if you order online! Tonight they take on the Florida Panthers. Or... plan ahead. See all dates below. Click here now to purchase tickets using your valid college student email address. FREE Bus Tickets Across Northeast & Midwest - BOOK NOW! The following message was sent out by TravelZoo today. We just poked around and there are a number of fares still listed as FREE. Book your trip today! During these tough economic times, what could be better than FREE travel? We had to pinch ourselves when we discovered megabus.com's huge FREE seat giveaway. Yes, you read that correctly: Megabus.com is giving away 100,000 FREE seats, valid on every single one of its bus routes. Valid for travel Jan. 14 - March 18, the first people to book won't pay a dime. Once the free seats fill up on each route, remaining seats will be offered at a huge discount -- starting at $1 each way. Megabus.com services dozens of major U.S. cities (see partial list below). To find out which routes stem from your city, click the link below and select your city from the drop-down menu. To make a reservation and grab your free seat, click here to visit megabus.com. Be sure to enter GREENBUS as the promotion code. Book by Nov. 28. Note: Megabus only takes bookings 70 days in advance. If your desired travel date takes place after Jan. 24, make sure to check back to book. Superstar chef Mario Batali signs his new book - Spain... A Culinary Road Trip - at Barnes & Noble in Union Square this evening at 7PM. Click here for details. We hear Gwyneth Paltrow will be in the house as well. Double trouble. I love food. And if you're reading this hopefully you do to. There is nothing I love more than reading about Cheap Eats. But what often upsets me about these lists is that the items aren't actually so cheap. And if they are... they don't taste that great. * these items appear in order of awesomeness. We thought it'd be a good to compile an exclusive NYCDAILYDEALS list of New York City's cheapest bars. How cheap? Let's just say a stack of quarters could last you through the night at most of these places. Know of any other deals? Post them in the comments below. And remember... it's never fun to drink alone. Feel free to forward this link to you friends! Bottoms up! 50 cent beers on Wednesday - Friday from 9 PM to 11 PM. $1 beers until 10 PM everyday. $2 beers from 5 PM to 7 PM nightly. $2 beers and well drinks from 11 PM to midnight on Sunday - Wednesday. 25 cent pitchers of beer with a $7 cover charge from 7 PM to 11 PM on Wednesday. Free open bar on Friday from 9 PM to 10 PM if you e-mail your name to: RSVP@newyorkunderbelly.com. $1 PBRs from 6 PM to 9 PM nightly. $1 PBRs all the time. Well drinks and Heineken are $1 from 5:30 PM to 9 PM nightly. Free wine with dinner -- all day, every day. $1 mugs of beer all night long on Monday and Tuesday. $2 PBRs all the time. $1.50 before 9 PM. $2.50 mugs of McSorley's beer all day, every day. Two mugs of beer for $4.50 all day, every day. The very first DOCUMENTA BRAZIL Film Festival kicked off last night at New York University. The first edition of this pioneer festival is devoted to Brazilian documentaries and will showcase a selection of the best documentaries of the past twenty years in Brazil. Admission is free to all screenings and events. There are four movies today and the festival continues throughout the weekend. For more information, contact Micaela Kramer, at msk200@nyu.edu. Click here for the entire program.